LOCKLINEAn intimate portrayal of the band Zorita on their first UK tour; 8 musicians who passionately try to win over new grounds. 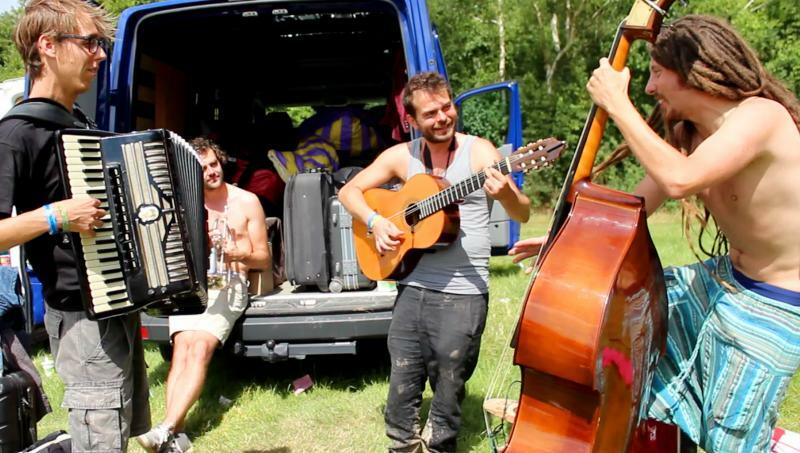 Zorita is an eight-piece band from Amsterdam. 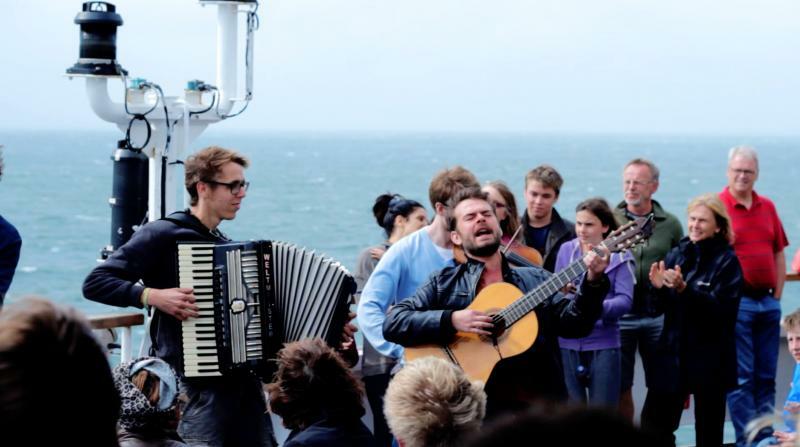 This summer they crossed the North Sea to tour England. They performed at major festivals and small venues, did a show on a giant pirate ship and and played the smallest stage in the country: a London guitar shop. Two filmmakers followed them everywhere they went. They recorded everything that happened on stage and backstage, all the highs and lows of this road trip. Zorita makes bittersweet music. Melancholic but still with swing; serious intense and exuberant at the same time. The same contrasts can be found in Carlos, the founder of the band. Carlos is a timid, silent but independent person. With his passion for music he founded his dream band six years ago. Nine men. All playing a different instrument, a different character and a different role in the group. Where some want to hang out with the other band members all the time, others prefer to be alone. As a bandleader the biggest concern of Carlos is if he can keep everybody rowing in the same direction. A tough job with a team of nine men. Nevertheless they all want the same thing in the end: make people dance with their passion for music. All these different characters know how to point their energy in the same direction to convince any audience. To go on tour sounds like a magnificent musical and romantic adventure. To some extent this is true, but there is much more to it. During the vast majority of the "adventure" you hardly sleep, sit in a car, and wait endlessly between soundcheck and the start of the show. But that shouldn’t spoil the sense of adventure: exciting unknown places and meeting new people. With their instruments as a means for communication tool in a country that turns out to be completely different than sweet home Amsterdam. In a nutshell, a short documentary about the eight-piece band Zorita, touring abroad for the first time. Wild parties alternate with intense moments of music making. Is Zorita a band with a common mission as Carlos would wish? Is everybody really heading in the same direction? Or is everyone there for his own pleasure? How will Zorita be received by the British people? And ... will they make their breakthrough in England? 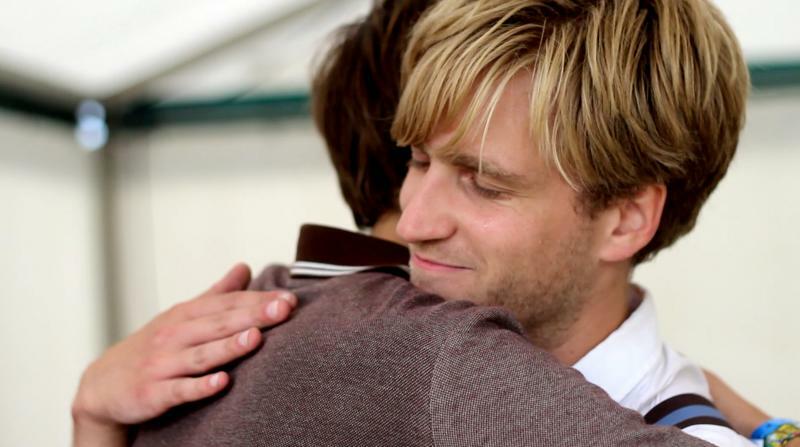 Above all this is a film in which you get to know the band members one by one. You live and grow with them during the tour. Friendships are deepened and put to the test. With music as a thread that links them all, it shows how nine men conquer new territory with their shared passion. Until They Die. Both filmmakers immediately felt a huge connection with Zorita. They were able to get close and make an intimate portrayal of the band. The viewer will immediatly feel this and share the experience of touring. Both filmmakers have a huge passion for music and a lot of experience in filming music and performances. Besides the social dynamics, conveniences and inconveniences of touring, the shows play an important part in the film. Now that the tour is over, it is time to turn all those hours of footage into something beautiful. 'Until We Die', a documentary about the tour, will be released early next year. This means a lot of work: editing, colour correction, sound engineering and graphic design. The raw material is there, but finishing the movie still needs a lot of time and effort. And that is why we need your help! Because we need some financial support to finish the documentary. Not only will you get a beautiful film in return, but you might also like a serenade at your balcony window or have breakfast with champagne with your favorite band member. A performance is just like a one-night stand; for one night you completely give yourself to a stranger. You share an intimate moment, sweat like a pig and the next day you awake from the whirl. 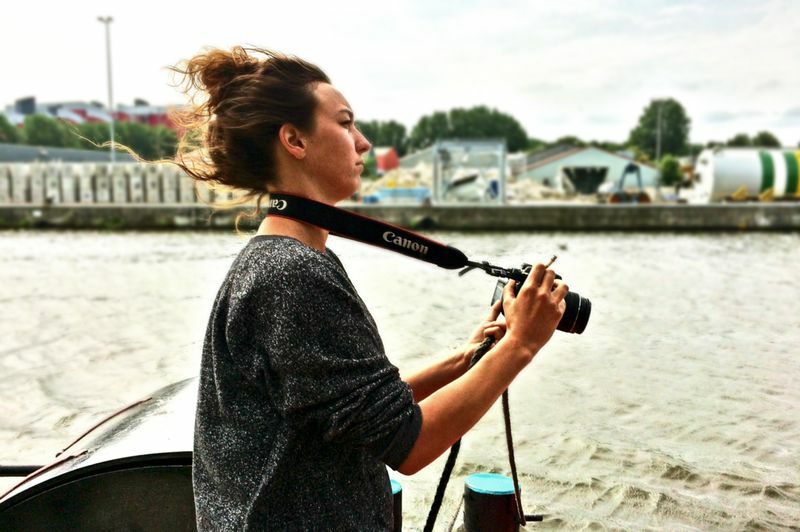 Seeltje is a young documentary maker with different assets and a passion for music. In 2012 she spent 3 months in Tanzania to make the documentary 'Lazaro', about a young Massai-boy who takes on the big step of moving from the country side to the city. She graduated in Digital Video Design at the HKU, and in the meantime worked for Lowlands, Oerol festival, My Baby, and the Amsterdam Klezmer Band among others. Sabijn is founder of Lovid Video Productions and a film maker with a sharp eye for design, composition and storytelling. She has a strong preference for music related projects. She made video’s for Cross-Linx festival, Oerol festival, Amsterdam Klezmer Band and was one of the founders of Sofar Sounds Amsterdam. Zorita are a raucous rousing rabble. 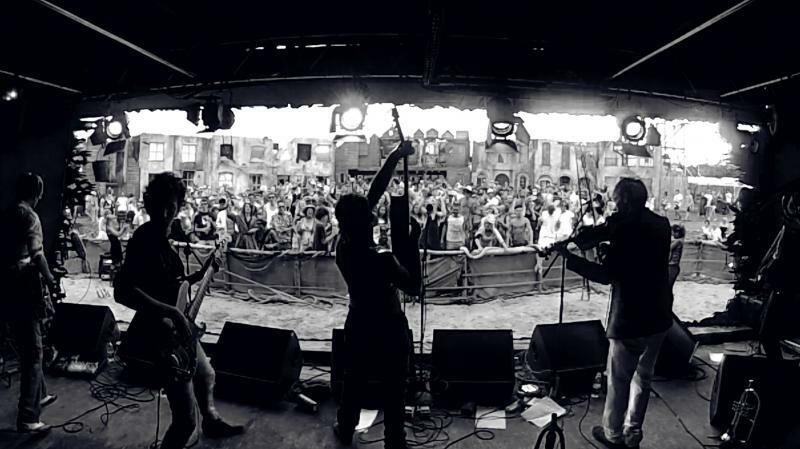 The band's bohemianmusic boasts an eclectic mix of instruments like the accordion, trumpet and violin. In combination with bass, drums and guitars, as well as frontman Carlos Zorita Diaz' raw voice, this creates a completely unique sound. Blending influences from South America, the Mediterranean and Folk music, an evening with Zorita is guaranteed to breathe life into any party. In their own words, the 8 musicians of Zorita describe their well-oiled ragtag collection of instruments, styles and personalities as 'Musica Vagabunda'. Lieve mensen!Ontzettend fijn dat we pak en beet op 3/4 van ons streefbedrag zijn gekomen vandaag. Elke donateur willen we bij deze nogmaals dubbel en dik bedanken. Nu de laatste 48 uur zijn ingegaan voordat we de deadline naderen zijn we harder als ooit tevoren bezig met het crowd funden. Je kan ons nog steeds helpen door het te delen met je kenissen, vrienden en familie of op je sociale media. Dan gaan we daarna ervoor zorgen dat er een mooie docu komt, en alle donateurs in de bloemetjes zetten met alle tegenprestaties die we voor jullie in petto hebben. Trrring Trrring! * How about your own ringtone? We'll make you a personalized ringtone out of a Zorita song and send it to you or one of your friends! Welcome! * You're invited to the exclusive premiere party: the documentary will be shown and Zorita will perform afterwards! Besides that you'll get a personal thank you from the band. ***Note: If you're living too far away from the Netherlands we can always work out a customized reward especially for you! CD's! * You'll receive an edition of Zorita's debut album 'Amor Y Muerte' in your mail box! Plus an invitation to the premiere party, AND two names on the guest list for a Zorita gig of your choice! ***Note: If you're living too far away from the Netherlands we can always work out a customized reward especially for you! CDouble Thanks! * You'll receive an edition of Zorita's brand new upcoming release 'Until We Die', and the debut album 'Amor Y Muerte' in your mail box! Plus an invitation to the premiere party. That's not all! On top we'll give you a signed Limited Edition Zorita poster and a mentioning in the 'special thanks' credits in the documentary! ***Note: If you're living too far away from the Netherlands we can always work out a customized reward especially for you! Behind the scenes! * You'll receive an invitation for one of the last viewings of the documentary before it will be released. You'll get the opportunity to talk to the director of the film and offer your own input! This will be the first time the band will get to see the documentary, so you can chat with them as well. Besides that, you'll get the upcoming release 'Until We Die' signed at home along with the album 'Amor Y Muerte'! You're expected at the premiere party and you'll get a big fat thank you in the documentary credits! ***Note: If you're living too far away from the Netherlands we can always work out a customized reward especially for you! Music lessons! * Ever wanted to learn how to play a Zorita song? Now you can! You'll get 1 music lesson on an instrument of choice: drums, bass, (electric) guitar, trumpet, violin, accordion or banjo! And of course your name will appear in the credit section of the documentary, you'll get the upcoming release 'Until We Die' at home along with the album 'Amor Y Muerte'! Oh yeah, and please do come to the premiere party (you're invited)! ***Note: If you're living too far away from the Netherlands we can always work out a customized reward especially for you! Bon Appetit! * Hungry for paella, bacalhau, goulash, or another exotic meal? We are too! So we'll come to your place with 2 to 3 band members to cook, after which we'll share thoughts and jokes along with a nice dinner and a glass of wine (max. 6 people)! Tasty! Please don't forget that besides that your name will appear in the credit section of the documentary, you'll receive the upcoming release 'Until We Die' along with the album 'Amor Y Muerte', and… almost forgot to mention! Get your lazy bottom to our premiere party because we want you there! ***Note: If you're living too far away from the Netherlands we can always work out a customized reward especially for you! Oh Sole Mio! * Everybody knows romance runs through our veins. And of course we want to share our romantic predisposition with you! A couple of band members will come to a location indicated by you to perform an acoustic serenade for a person of your choice. Maybe there's a marriage proposal planned ahead? Please don't forget that besides that your name will appear in the credit section of the documentary, you'll receive the upcoming release 'Until We Die' with the album 'Amor Y Muerte', and… almost forgot! Get your lazy bottom to our premiere party because we want you there! ***Note: If you're living too far away from the Netherlands we can always work out a customized reward especially for you! Become A Producer! You'll get a honorable mentioning as co-producer in the documentary. Without your support this project could never be realized! And of course you'll receive the upcoming release 'Until We Die' signed along with the album 'Amor Y Muerte'! You're expected at the premiere party and you'll get a big fat thank you. Digitally and personally! ***Note: If you're living too far away from the Netherlands we can always work out a customized reward especially for you! Your Song! Ever wanted to be the subject of a song? Zorita will write a personal song for you or a person of your choice! Or maybe you'd like a catchy jingle for your company? But that's not all! You'll get a honorable mentioning as co-producer in the documentary, and of course you'll receive the upcoming release 'Until We Die' signed along with the album 'Amor Y Muerte'! You're expected at the premiere party of course, don't forget! ***Note: If you're living too far away from the Netherlands we can always work out a customized reward especially for you! The Almost Whole Shebang!! A gig of Zorita in your own house? No worries! You'll get a semi-acoustic concert for a maximum of 150 spectators (or more, to be discussed with the band) - for example a living room concert or a company party. Not enough yet? You'll receive the upcoming release 'Until We Die' signed along with the album 'Amor Y Muerte'! You're expected at the premiere party and you'll get a big fat thank you. Digitally and personally! ***Note: If you're living too far away from the Netherlands we can always work out a customized reward especially for you! The Whole Shebang-BANG! * You won't believe it but it really is true! We offer you an exclusive boat trip through the Amsterdam waters on the boat of the director. During this most lovely trip Zorita will perform for you. Drinks and snacks are included (max. 12 persons). AND mentioning as associate producer at the beginning of the documentary! Badabim! Why not 5 VIP tickets for the premiere party? Not enough yet? You'll receive the upcoming release 'Until We Die' signed along with the album 'Amor Y Muerte'! You're expected at the premiere party and you'll get a big fat thank you. Digitally and personally! ***Note: If you're living too far away from the Netherlands we can always work out a customized reward especially for you!